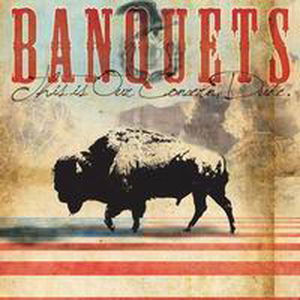 Banquets - This our concern, dude - 7"
The debut 7? from Banquets. Four songs for fans of Hot Rod Circuit, The Get Up Kids, and Eddie Money. Members of Banquets have previously played in Let Me Run, The Stand In, The Banner, Suburban Scum, Teenagers, Static Radio, and many more. Includes free digital download.